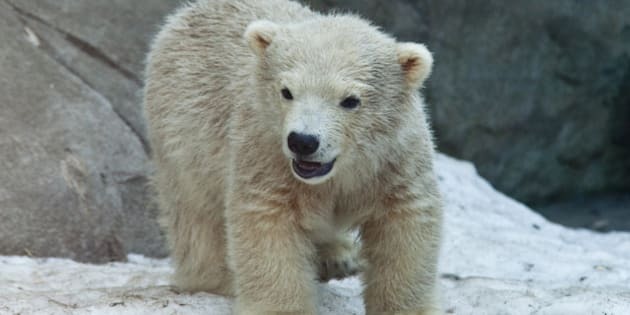 TORONTO - The Toronto Zoo says three polar bears born at the facility to the same mother last Thursday have died. The first male cub died shortly after birth and two female cubs died during the night on Sunday. The zoo says the mother, an 11-year-old bear named Aurora, was nursing the two female cubs after the male had died and "all was going well." Despite this, and constant monitoring of the den, the two remaining cubs died. The zoo says it is still unclear what caused the deaths and post mortem tissue samples have been sent out for analysis. Maria Franke, the curator of mammals, says since the cubs are born so small and undeveloped, "there are many possibilities of what could have happened." Despite the deaths, the zoo notes that Aurora's maternal instinct was "finally kicking in and she was learning to be a mother." It says the births represent a "positive direction" in the zoo's breeding program. Polar bears are a critically endangered species and biologists estimate there are only approximately 20,000 to 25,000 polar bears in the wild. About 60 per cent of them live in Canada.